Malaika's Jeans Are SO Ripped We Can Hear The Threads Breaking Apart! Malaika Arora Khan and her casual chic street style are new to no one. 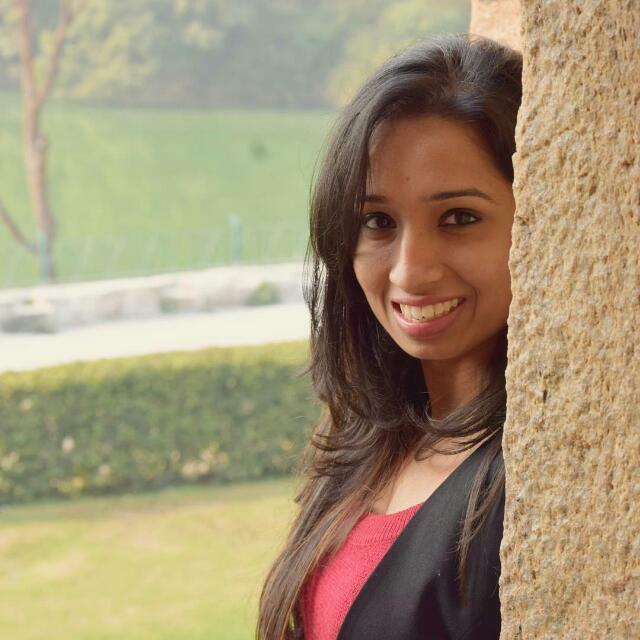 Recently, the fashionista was seen nailing the denim-on-denim trend with jeans so ripped and a jacket so cropped that we can barely (pun intended) deal with all the hotness. Let's just say, the outfit had a lot of blue but our Monday didn't. Like, at all! Although, it does make us wonder how much rip is too much rip! Malaika wore a pair of boyfriend jeans so distressed that we are afraid the delicate threads might just break from all the stretching. She paired her jeans with the newly launched cropped sparkly denim jacket (Rs 12,999) from the Moschino x H&M collection and a striped bralette with lace detailing. She completed the look with a shiny grey belt, matching flip-flops, black aviator sunglasses and an oversized tote bag from Balenciaga. However, we have some thoughts about Malaika's damsel in distress(ed) look. In an effort to show some skin, Malaika went a little overboard. An alternative way to style the denim jacket could be with high-waisted jeans. That way, the jacket gets the attention it deserves. The distressed jeans were too out there for us to be able to appreciate the jacket. Likewise, the jeans could be teamed with a fitted top lending a balanced look to the OOTD. Our kind of denim-on-denim with these jeans would call for a regular denim jacket versus a cropped one. How do you style your jeans? POPxo Recommends: Blue Skinny Fit Mid-Rise Highly Distressed Stretchable Ankle Length Jeans (Rs 1,199) by Here&Now at 40% off. 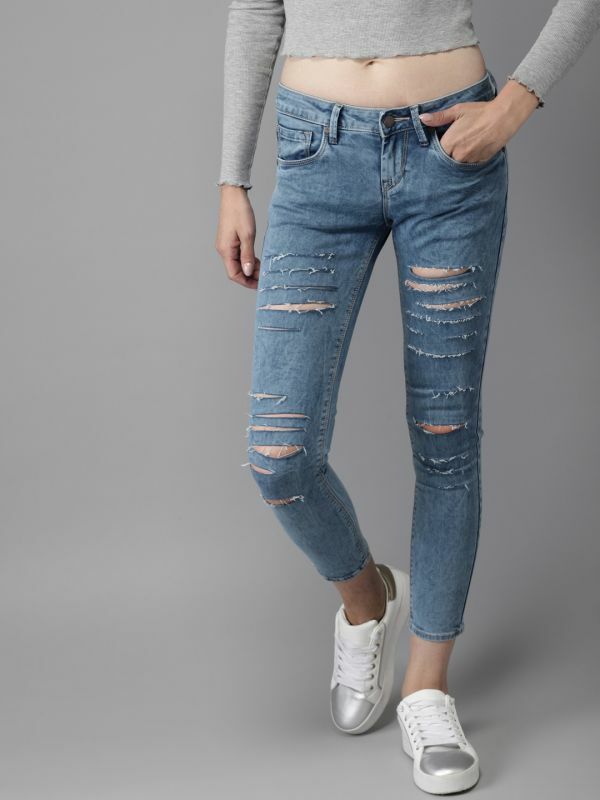 POPxo Recommends: Blue Slim Fit Mid-Rise Heavily Distressed Stretchable Jeans (Rs 1,214) by Splash at flat 55% off. POPxo Recommends: Blue Boyfriend Fit Mid-Rise Highly Distressed Jeans (Rs 1,559) by Kook N Keech at 40% off. 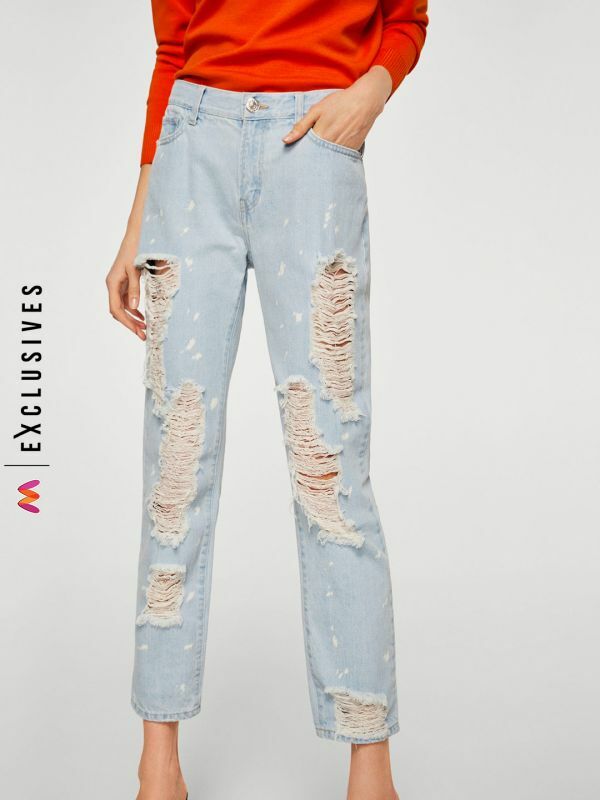 POPxo Recommends: Blue Relaxed Fit Mid-Rise Highly Distressed Jeans (Rs 1,570) by Mango at flat 55% off. 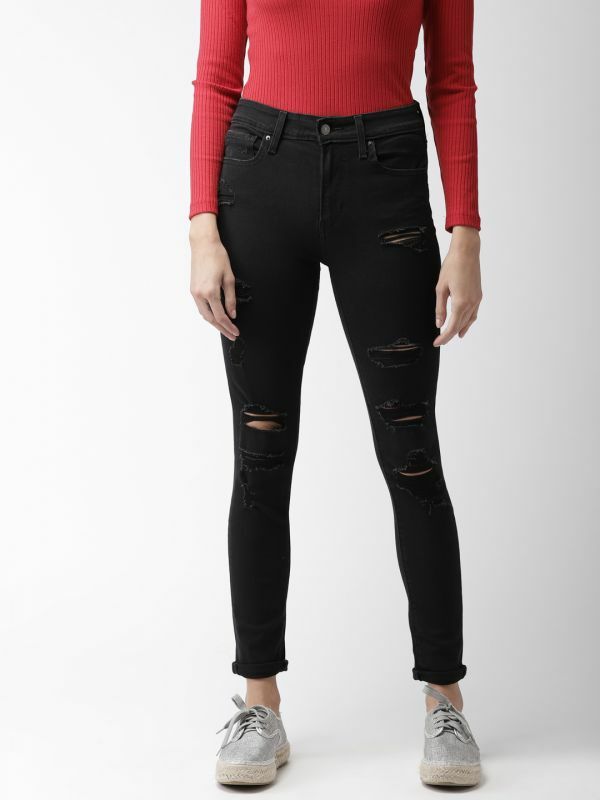 POPxo Recommends: Black Skinny Fit High-Rise Highly Distressed Jeans 721 (Rs 3,499) by Levis.